The convention season is well underway! 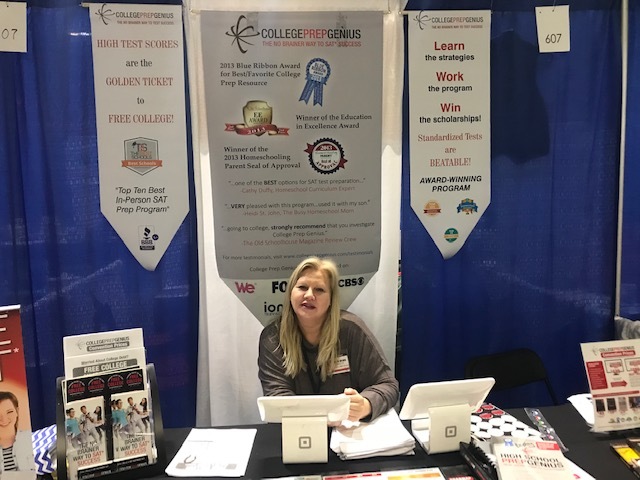 Our amazing Homeschool.com team has already covered three Great Homeschool Conventions and we are looking forward to the FINAL FOUR! 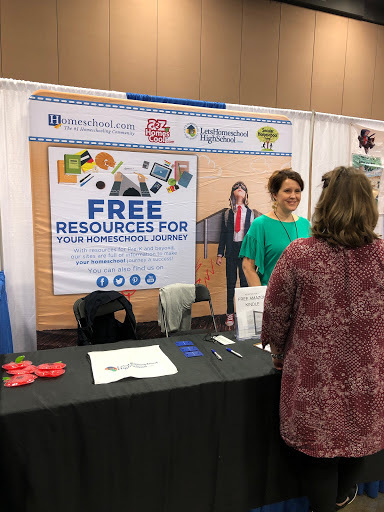 It’s been awesome and we count it a privilege to have a part in helping homeschoolers find the resources and tools they need to homeschool successfully! The travels have been great and thankfully safe! 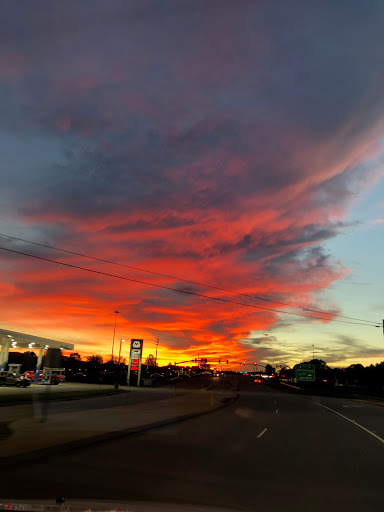 It’s such an adventure to get up before the crack of dawn and rush to the airport – or jump into the car to drive a few hours. 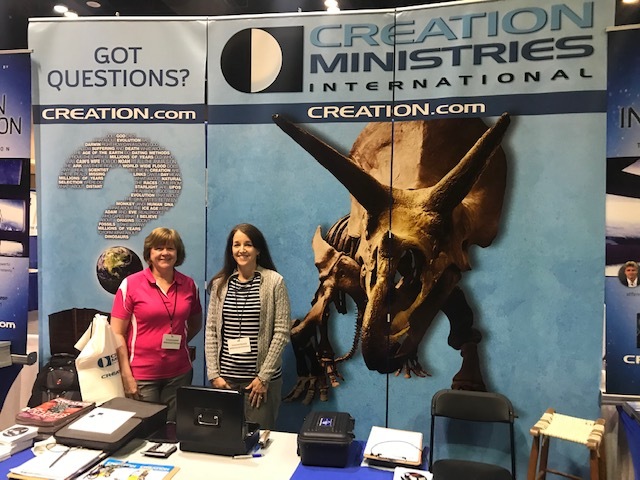 But without fail every time we get to the convention and enter the exhibitor’s hall to set up our booth (super cute by the way) we’re greeted with smiling faces and helpful people. Even when we have to set up our booth alone – there has always been a nice person (or a few) to come along and help assemble it! It’s a great atmosphere and one that welcomes both exhibitors and homeschool families! Speaking of… we’ve met some pretty amazing fellow exhibitors… most of which we’ve been able to begin great friendships. There isn’t a spirit of competition between exhibitors/vendors but one of “we’re in this together! which makes The Great Homeschool Convention such a wonderful experience. Everyone that we have met has been a delight and we wouldn’t trade those opportunities for anything! We’ve also met homeschool parents that have been unforgettable! 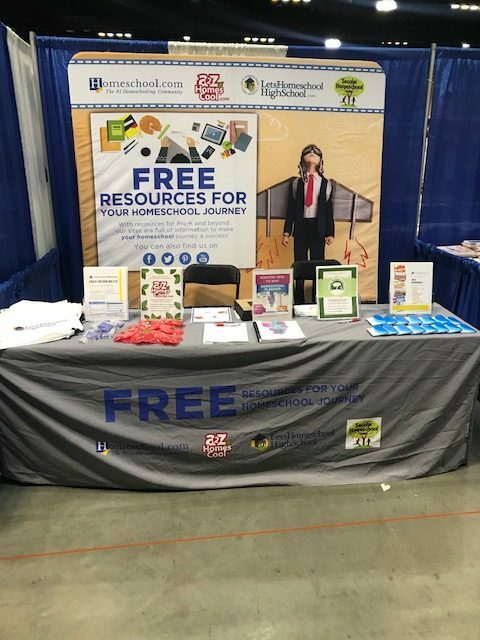 We attend these conventions in an effort to share our free resources and helpful tools and information with homeschooling families, hoping to make their lives better! But, so often, we meet homeschool parents that end up helping us on our homeschooling journey! 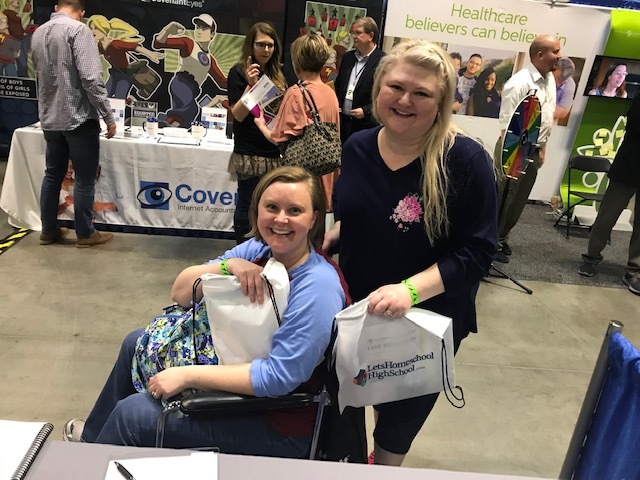 Like the sweet homeschool mom in the wheelchair who hurt her ankle but still came on to the convention – wheelchair and all! I have personally received help from several homeschool moms regarding my daughter that has dyslexia. What an encouragement it was to know that I wasn’t alone with my struggles! 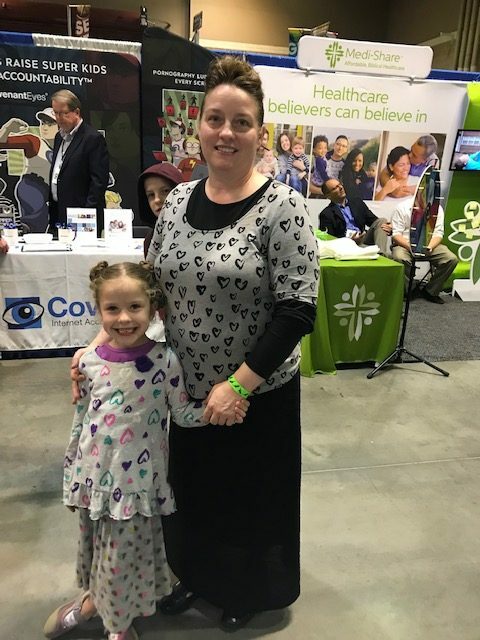 If you’ve never been to a homeschool convention, I want to encourage you to take the time – make the effort – it will be an experience that will change your life for the better! If you want to get in on it this year, you’ve still got time! There are four more Great Homeschool Conventions left this year. Check out our convention schedule below and see which one you can attend. We’d love to see you there! April 25-27 Columbus, OH – Meet Jamie! June 13-15 Ontario, CA – Meet Kat! “There’s an Ontario in America? I thought that was in Canada?” While there is an Ontario in Canada, there’s also a town in California named after its Canadian counterpart (which was so named after the Ontario Model Colony development in the 1800s). Located in southwestern San Bernardino County, it’s about 35 miles east of LA! There, you’ll have the pleasure of meeting Alison Belknap on behalf of Homeschool.com. Make sure to stop by our booth and enter the giveaway! August 1-3 Rochester, NY – Meet Alison! If you’re seeking warmer climates, Rochester, NY should definitely NOT make your list! This “snow globe” city averages about 89.3 inches of snow — each and every year. Brrrr! 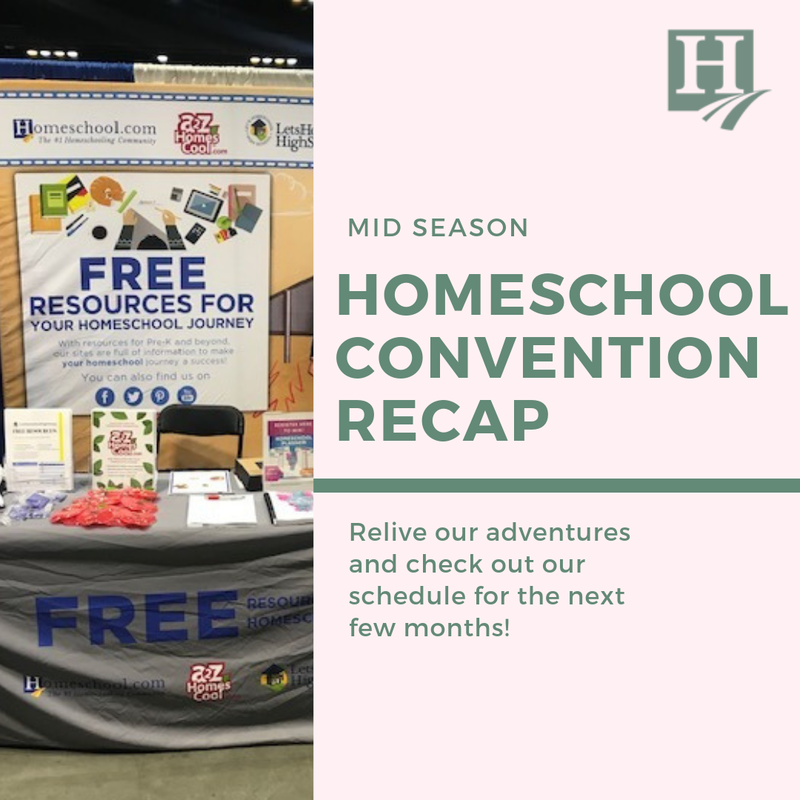 Thankfully, when Great Homeschool Conventions makes an appearance, it’s not until August – but that’s right around the time the temps start dropping so, pack an extra layer! Homeschool.com is sending Alison Belknap to represent us this year and we couldn’t be more excited! 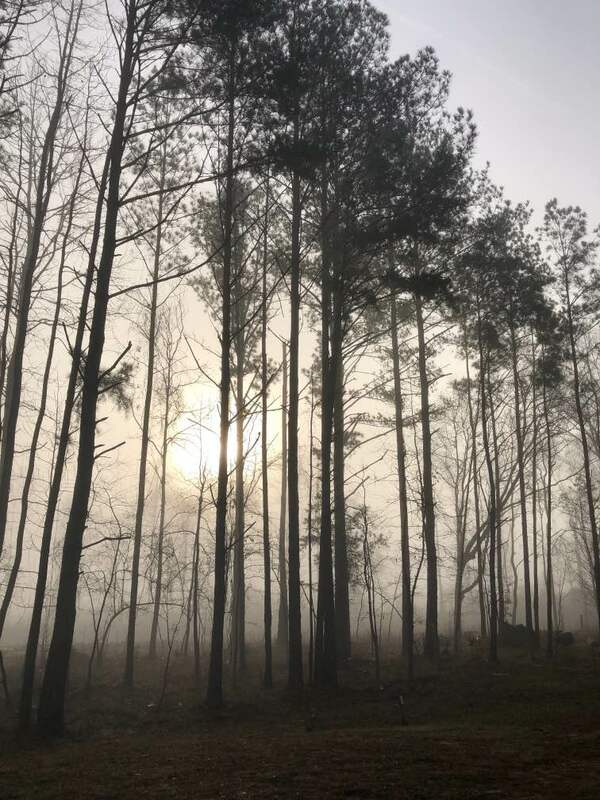 August 8-10 Florida – Meet Jamie! If you’re looking for that huge metropolitan city feel, Jacksonville, FL is sure to please! 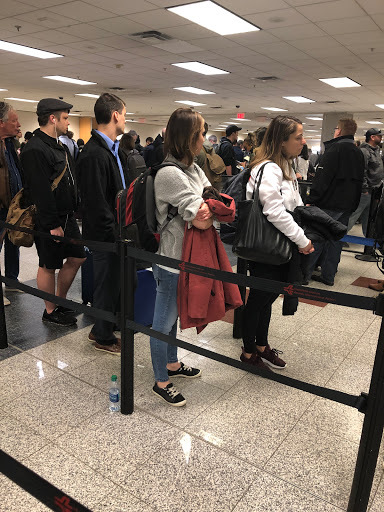 Known for being the largest city geographically in the state of FL, it can conceivably take an hour (or longer) to get from one end of Jacksonville to another by way of the interstate. It’s so large, in fact, that there are many “sides” or “parts of town.” This year, Great Homeschool Conventions will convene downtown (a fraction of the Northside) at the Prime Osborn III Convention Center. Our trooper, Jamie Gaddy, will make an appearance at one last homeschool convention, and you have the chance to meet her if you’re headed to Jacksonville! Make sure you stop by our booth and enter the giveaway!